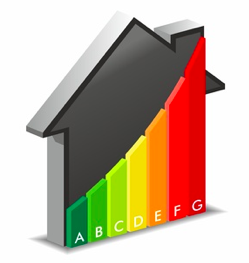 Tonight, Debra Little, our resident Green Hearted Appraiser, Speaker and Consultant will be reviewing a form she and various team members have been designing to assist everyone from home buyers and real estate professionals to HERs and BPI licensed raters in making home energy assessments easier. Qualified as a Building Analyst: BPI Certified Green Point Rater: Build It Green; Green Certified Homes, EE Lighting Designer, Residential and Land Appraiser as well as a Consultant for Sustainability, Energy Efficiency specializing in Residences, Debra’s in a excellent position to understand the need for a simple yet reliable form that can be used by the housing industry as a whole. Nearly finished, she’d love to share her thoughts with you and hear your ideas how best to complete and market this great tool in the effort to help Save The Planet One House At A Time! This entry was posted on Wednesday, June 26th, 2013 at 2:12 pm and is filed under Appraisers, Renovators Webinars. You can follow any responses to this entry through the RSS 2.0 feed. Both comments and pings are currently closed.